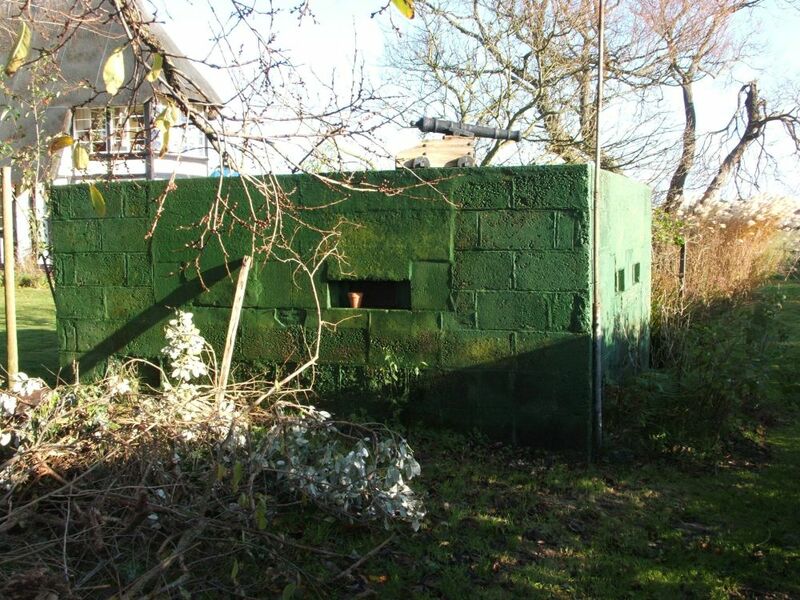 Suffolk Square Pillbox. When originally constructed this pillbox probably had an attendant trench, the likely signs of which can be seen on aerial photographs. Now a garden feature in a private house.